In fact, Iceland’s annual marine catch has average 1.1 million metric tons; almost 2% of the global marine harvest. This catch is directly responsible for 8% of Iceland’s gross domestic product. Up to 1/5 of the nation’s GDP is directly and indirectly attributable to the fishing industry! At the same time the industry has been very profitable in recent years. Clearly the entire nation benefits from the fishing sector. But, this hasn’t always been the case. 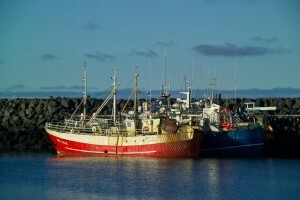 Profitability of the Icelandic fishing industry was poor and declining until the implementation of Individual Transferable Quota systems, a form of catch shares. Iceland first implemented ITQs in the herring fishing in 1976. The program was expanded to demersal fisheries in 1984, to nearly all fisheries in 1991, and in 2004 to incorporate all commercial vessels into the system. The catch share system is “the cornerstone of the fisheries management system.” The value of the ITQs has increased greatly since 1984 (from about US $25 million to around US$4 billion) due to introduction of more species and sectors into the system and higher unit value of ITQs. The ITQs haven’t just improved the value of the fisheries; they have been a key ingredient for successful resource management. In fact, Iceland stands out as a global example: while fisheries around the world are declining, no stocks have collapsed in Iceland since the implementation of ITQs decades ago, and several have substantially improved including herring and haddock. For a nation largely dependent on fishing, this is critical to their prosperity. In 2008, Iceland came under international scrutiny as the financial system crumbled on the world’s stage. The collapse of the three biggest banks in Iceland left the country with a crippling national debt. Despite the difficulty from the financial meltdown fisheries have continued to provide stability and strength to the Icelandic economy. In an atmosphere where the national stock market lost 97% of its value and more than 780 companies have been bankrupted, Iceland fishing companies have remained stable. 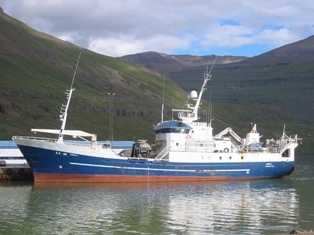 In fact, the largest fishing company in Iceland, HB Grandi hf, kept all 650 employees on the payroll during the financial crisis and some even received a raise. In 2009, Iceland’s export production of marine products increased by 10.9%, in addition to a 21.4% increase in product value. Under the catch share program, fishing fleets increased in size by 53 vessels, compared to 2008, while staying within the catch limit. Every year since 2001 profits in the fishing industry has exceeded 5% of revenues. Clearly in a time of significant economic upheaval, Iceland’s sustainable management of fisheries has bolstered the nation. The wealth of Iceland’s fishing grounds is one of the main sources of debate in the Iceland’s application to become a full member of the EU. The country is concerned about the potential impact to their fisheries. As a member of the EU, fishing resources would be managed under Europe’s Common Fisheries Policy and foreign fleets could potentially have access to Iceland’s fish stocks. Fishermen and fishing companies are not keen to open their well managed fisheries to exploitation by other countries. Icelandic fishing companies are required by law to be controlled by Icelandic entities and not to exceed 25% ownership by foreign entities. Design is critical to all catch share systems and Iceland has designed their system to meet their goal of responsible fisheries, specifically focusing on resource sustainability and economic benefits. Iceland uses an individual-based approach with certain stipulations on limiting concentration and, to a certain extent, trading to meet specific goals. For example, no fishing entity (individual, company or group of companies) can hold more than 12% of the value of ITQ fisheries and a there is a separate small boat quota system for boats less than 15 gross tons in which the quota can only be transferred with other small boats in the system. The ITQ system in Iceland’s fisheries provides a window into the environmental, economic, and other broader public benefits that well-designed catch shares can provide.